The entry level car from the Ford Motor Company is one automobile that’s worth noting. The blue oval logo of Ford is increasingly become commonplace in the crowded roads of South Africa, where the Figo was the 4th best selling passenger vehicle in 2012. This fact is also great for used car buyers because they have an abundant number of Ford Figos to choose from this year and in the few years to come. As chronicled in the CNBC documentary, Ford: Rebuilding an American Icon, the automaker has done a brilliant job since the dark days of 2007, when its counterparts like General Motors and Chrystler needed rescuing. Cars like the Ford Figo, which are produced solely for the burgeoning markets of South Africa, India, Brazil and others alike, have helped Ford stay afloat. We, as car buyers are also not complaining. We like having options, and the Ford Figo is just one great option among others in the B-segment of passenger cars. 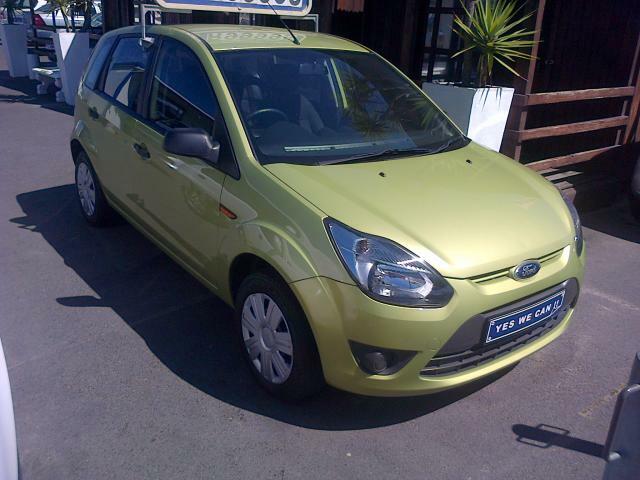 That the price of a new one is less than R130,000, and a one-year old second hand Ford Figo 1.4 Ambiente can go for about R100,000 makes this car a considerably great buy. Bright yellows, blues and reds are the usual favourites for Figo buyers, who tend to be young, and buy one of these cars as their first. This colourful bunch are also the same people whom Ford’s future will increasingly rely on in South Africa. Current Figos in the market only come in a petrol or diesel for the TDCi, with a 1.4 litre engine, but neither the Ambiente nor the top of the range Trendline offer an automatic gear transmission. Reviews of the car are mostly on the positive side, signalling Ford’s commitment to offer sufficient performance and practicality at a reasonable price. As more of the Figo’s buyers grow older and able to afford more expensive cars, the test for Ford will be whether or not the Figo cultivated a strong brand loyalty to Ford as a whole, that buyers move from Ford Figo to Ford Focus or Ikon, or will their tastes appreciate more sophisticated cars. Connected mobility as it is usually called has been quite a major draw card for many buyers, who feel that a car is not just something to move you from A to B now, but is part of a whole new lifestyle that puts technology at the forefront of everything. That, coupled with spaciousness and superb fuel economy should give you good impressions about the Figo. Of the car maker’s vehicles on sale in the country, only their bakkie, the Ford Ranger trumped the Figo in 2012 sales. There are obviously many factors as to why this is so, but with just 686 the difference in units sold between the two, it will be a race at Ford’s Silverton, Pretoria manufacturing plant to see which of the two will top the sales figures.